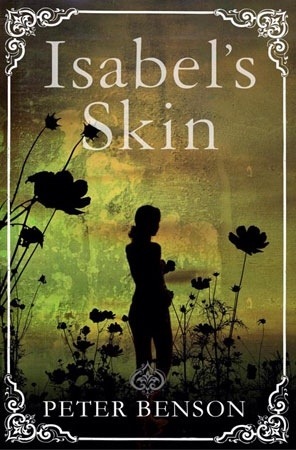 A while ago I was sent Isabel’s Skin by Peter Benson to review, and have finally got round to reading it. It’s a Gothic story which begins with an antiquarian book valuer, in the best tradition of the tales of MR James, who comes across a screaming woman, Isabel, as he visits a remote country house to value a library. The novel also has echoes of The Woman in Black, as the hero, David, arrives to find the locals warning him of the bad atmosphere of the place, and is met by a mysterious and unwelcoming housekeeper. Next, we meet a mad scientist, Professor Hunt, who plays God with human lives. David becomes entangled with the woman whose life Hunt is playing with, and his own life is permanently changed by his encounter and subsequent desire to rescue Isabel. The blurb describes it as ‘a slick Gothic tale in the English tradition, a murder mystery and a tour of Edwardian England’. Two of these descriptions are certainly true, but it’s not a murder mystery; though there is a murder, there is no mystery about it as we know the killer and the motive before it even happens. It’s certainly in the Gothic tradition, though – as I’ve suggested, it’s difficult to read the novel without recalling other Edwardian Gothic tales, though it often lacks the depths of these forebears. It is, however, mostly well-written, evoking the rural surroundings in beautiful, descriptive prose, though lacking any real way of connecting the natural world to the very unnatural doings of Professor Hunt. Occasionally a word jars in the otherwise nicely-crafted, old-fashioned prose (including overuse of the word ‘yelled’), but this is not too much of a problem. What is more of an issue is the lack of plot and of overall ideas; it’s easy to see what will happen next, removing any suspense, and the book ambles along missing opportunities to add depth and meaning (for example, relating the works of philosophy which are referenced to the plight of Isabel). At first I was anxious to find out what Morris would find, and read eagerly, but sadly this feeling evaporates. Nonetheless, what has actually happened to Isabel’s skin is in the style of Victorian and Edwardian thrillers – melodramatic, excessive, and edging towards sci-fi, so if you want to find out more, do read it. It’s not a bad book, and it plays with some ideas of traditional Gothic, and the writing style is pleasant, but I’m afraid I was a little disappointed.